Step into the Gibson Pewter Shop and step back in time. Visitors will see second-generation pewterer, Jonathan Gibson — one of America's premiere pewterers — at work with antique tools and machinery in his old barn in historic Washington Center, NH. The Gibson Pewter Shop, a Yankee Magazine Travel Guide Editor's Pick as an outstanding reason to visit New England, is open year round. Each lead-free piece of Gibson Pewter is made with hands-on care, whether cast, hammered, or spun. Over 100 pieces of traditional and contemporary designs are available for sale. Baby cups, dinner ware, candlesticks, lamps, jewelry and ornaments are all popular items. Wedding registry with Gibson Pewter is a unique gift choice. 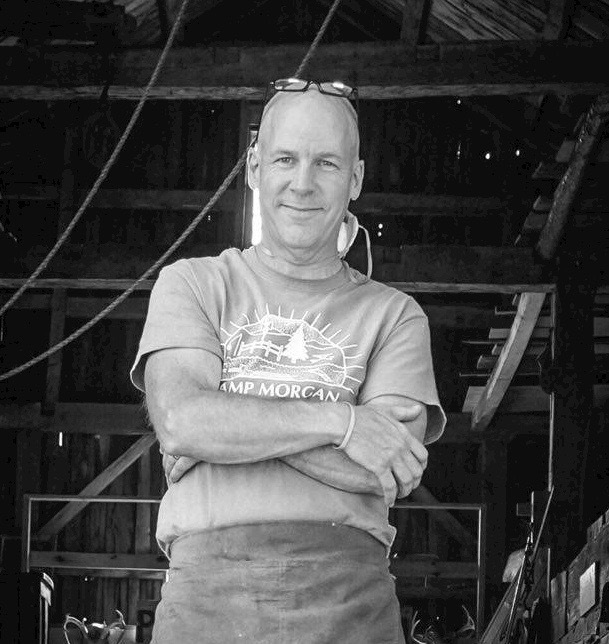 Jon is a state juried member of the League of N.H. Craftsmen and has also been named by Early American Life Magazine among the top 200 traditional craftsmen in America since 1993. The prize winning Gibson Pewter Fruit Bowl and Wood Grain Beaker have been added to the permanent collection of the Museum of Fine Arts, Boston.